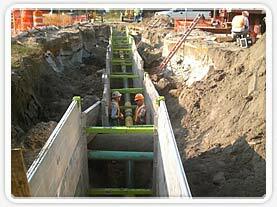 ACS now offers our customers technicians qualified in Clock Spring® pipeline repair. With the first assignment for Akima Facilities Management, LLC, ACS continues its support for construction projects on MacDill Air Force Base as it did for the past five-year period working for the previous base operations contractor, Chugach Management Services. ACS’s first assignment is a mechanical contractor project involving upgrades to an existing lift station. ACS is a proud member of the Florida Natural Gas Association (FNGA) and the Associated General Contractors of America (AGC). 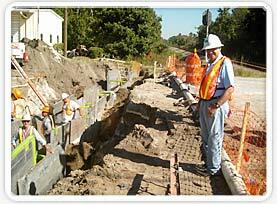 We believe our worker and public safety standards should always be top-priority no matter the size of project. That is why safety is one of the primary measures of project success at ACS. 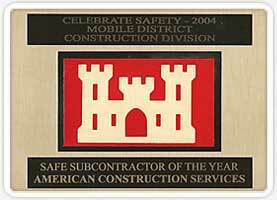 ACS earned two prestigious safety awards in 2004 starting with the United States Army Corps of Engineers (USACE) Mobile District 4th Quarter and the overall 2004 Safe Subcontractor Award in the Construction Division for our safety record on a number of projects at MacDill Air Force Base in Tampa. ACS maintains a rigorous in-house safety training program for its employees that is designed to ensure that the highest level of safety precautions are implemented on all company projects. ACS also maintains a Subcontractor Management Plan that outlines safety training requirements of subcontractor personnel working on ACS projects. Evidence of the commitment ACS has made to workplace safety is exhibited in our Experience Modification Rate (EMR) and associated OSHA worker injury data as illustrated below. 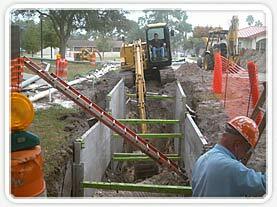 © American Construction Services, Inc. of Tampa. Contact us.